Please, join the 2013 Miss Henderson County Fair Queen Catie Steck, the 2013 Jr. Miss Henderson County Fair Laura Newton, and the 2013 Little Miss Henderson County Fair Kaylynn Hennenfent as the roar into the 20's at this year's Henderson County Fair Queen Pageant. 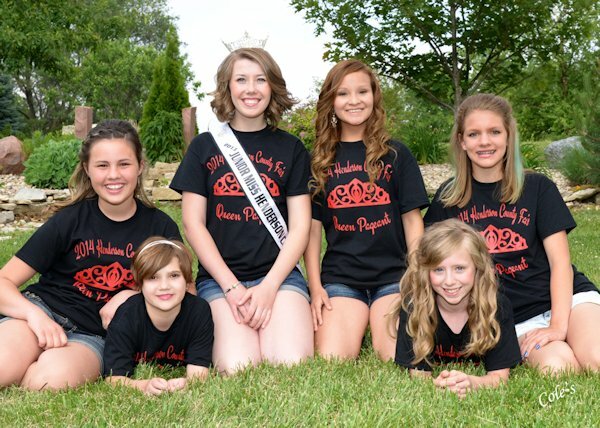 The pageant will be held on Sunday, July 13, 2014 at 6 p.m. at the Henderson County Fairgrounds in Stronghurst. Please come out and support the 17 young ladies competing this year. 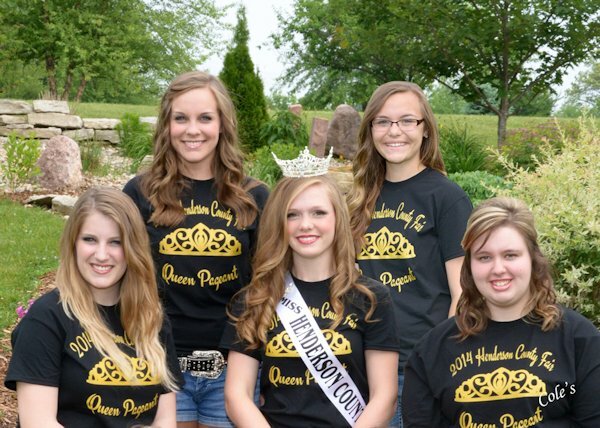 Four lovely young ladies will compete for the title of the 2014 Henderson County Fair Queen. Jessica Cupps is the 17 year old daughter of Tom and Terri Cupps of Oquawka. Jessica will be a senior this year at West Central High School. She enjoys reading, volunteering, volleyball and softball. She has been on Honor Roll and High Honor Roll and is currently a member of Student Council. She was the 2nd runner-up at the 2010 Junior Miss Henderson County Fair Pageant. She is employed at County Market and Daisy Frames. After high school graduation she plans to attend Carl Sandburg College and major in radiology. Marrisa Lange is 18 years old and resides in Stronghurst with her parents, Todd and Diana Lange. She is a 2014 graduate of West Central High School, and plans to attend Spoon River College this fall and then transfer to Western Illinois University to complete her studies with a degree in agriculture. Marrisa was Vice-President of her class and was a member of FFA. She was awarded the West Central Education Foundation Scholarship and the Western Illinois Agriculture Education Scholarship. Marrisa enjoys golf, crafting, reading and hanging out with her friends and family. Shawnee Hartman is 16 years old and lives in Oquawka. She is the daughter of Larry and Dawn Hartman. Shawnee will be a senior this year at West Central High School. After graduation to plans to join the National Guard and then attend college to major in communications and minor in agriculture business. At West Central High School Shawnee is involved in FFA, Student Council, Operation Teen Safe Driver, Kids Against Hunger, Drama Club and the MDA "Ride for Roo". She is employed by Shopko and in her spare time likes to play the guitar and sing. She also enjoys traveling, spending time outdoors, meeting new people and trying new things. Junior Miss Contestants are Payton Watson, Brenna Lillie, Kendra Cole, Diana Reyes and Lauren Kane. 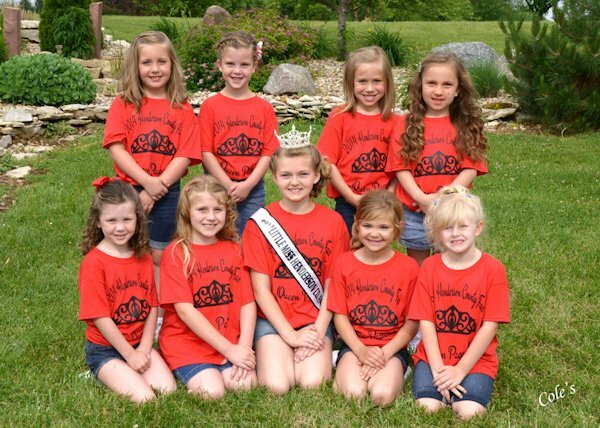 Little Miss Contestants are Brooklyn Miller, Alexia Kane, Grace Cargill, Alison Guyton, Lauren Winters, Ruby Gittings, Bree Aunna Ingle and Jamie Miller.